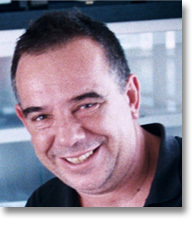 Miguel Teruel is a Senior lecturer in English literature at the University of Valencia, Spain. His fields of interest include poetry, theatre, translation and intertextuality. His critical works include Tom Stoppard: La escritura de la parodia (1994), A Guide to the Shakespearean Scene (1994) and Cruzando la Frontera, a collection of critical essays co-edited with A. R. Calero and Domingo Pujante (2007). As a translator into Spanish, he has published works by Thomas de Quincey (Confesiones de un inglés comedor de opio, 1997), Timberlake Wertenbaker (El amor del ruiseñor, with Jorge Picó, 2006), John Keats (Poemas escogidos, with J. V. Martínez and P. Nicolás, 1997), Lord Byron (Don Juan, with J. V. Martínez and M. J. Coperías, 1994), Tom Stoppard (Arcadia, 2000, and Rosencrantz y Guildenstern están muertos, 2003, with Jorge Picó) and William Shakespeare (Macbeth, Romeo y Julieta, Noche de Reyes, Hamlet, Antonio y Cleopatra, La tempestad, and Bien está lo que bien acaba, from 1987 to the present, in collaboration with The Shakespeare Foundation of Spain). Together with Paul S. Derrick, he has published a small selection of Richard Berengarten’s poems in Spanish translation, Las manos y la luz [Hands and Light] (2008).